It is possible to export your storyboard project and preserve the timing, motions, and sounds edited with Storyboard Pro, directly to Apple Final Cut Pro using the EDL or XML formats or to Adobe Premiere, Avid Xpress, or Sony Vegas using the AAF format. ‣ Video Config. : The storyboard scenes are exported in QuickTime format. Click Video Config. 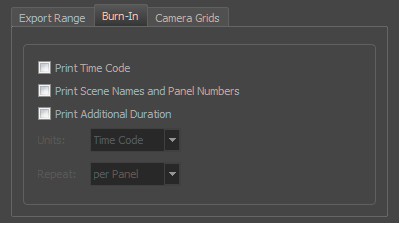 to configure the video settings (codecs, quality).Use the resolution menu to define the output resolution since you might not always need to export the storyboard at full resolution (you can select Full, Half or Quarter of a project’s resolution). 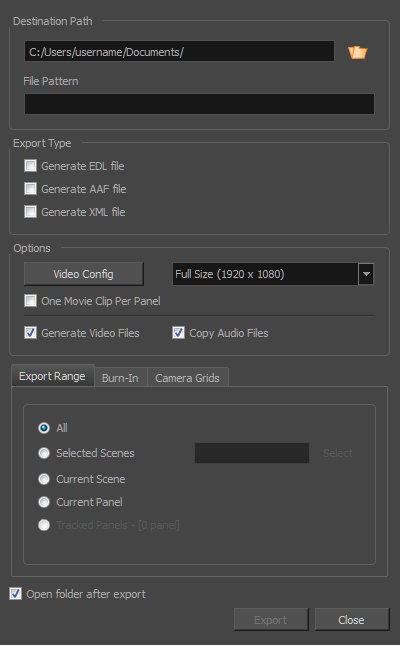 ‣ One Movie Clip Per Panel: Exports more than one QuickTime movie clip per scene (which might contain more than one panel) e.g. 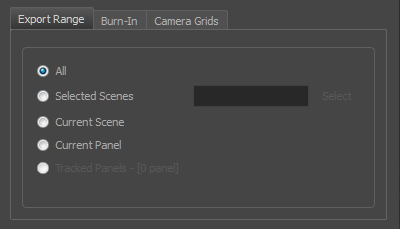 to obtain better granularity during editing since the storyboard will have smaller movie clips. 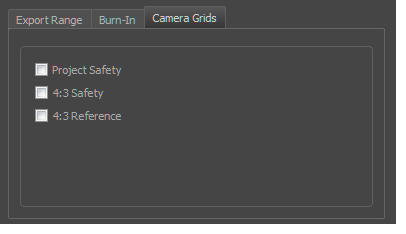 ‣ Generate Video Files: If you only need the EDL, AAF or XML files to be generated, deselect this option so no video files are rendered.